Today marks a milestone. I have officially blogged for 10 years. That is a lot of blog posts. A lot of personal stories out there for the world to read, and a lot of silliness, too. A lot of growing and changing. A lot of late nights and early mornings spent writing in dark rooms. It seems as though many people have stepped away from blogging this year. That is true every year, every day, really, but this seems bigger because the bloggers are of a higher profile, and they are posting official goodbyes and explanations. Most bloggers just slowly fade away as life changes and their words stop flowing out to the world. Some of them move on to other things. Others stick with sharing family pictures on Facebook and an occasional status update aimed at old blogging friends to reminisce over the days of writing prompts, comment groups, and NaBloPoMo's. Some former bloggers are writing novels and memoirs, and choosing not to write for free, even in spaces they own. There is validity in all of these choices, and I understand each one. Blogging has changed a lot in the last decade. A friend asked me what I had planned for my blogging anniversary. It seems like there should be a seriously big marker for ten years, but I didn't have an answer for her. I didn't have a plan. That is often the story of my life, for better or worse. When I started writing online, I didn't have a plan, either. It was long before the days of monetized blogging. 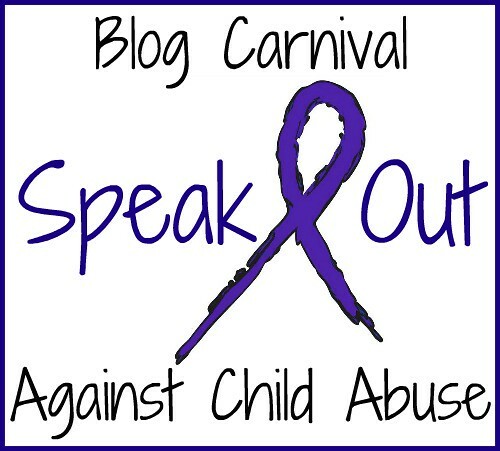 I was looking for a space to say out loud that I had survived childhood sexual abuse while sitting safely behind the veil of anonymity. I didn't know where those words would lead. I didn't even know that I would love writing or that one day blogging would pay the rent and buy groceries - I just knew that I needed to learn how to say the truth and work through the pain if I was ever going to become a whole person. Eventually I dropped the veil of anonymity. I shared my full name on this site and sent the link to everyone I knew. I even made it Facebook official by linking my blog page to my personal profile. My writing developed, and I shared more and more of my life with the world, while setting serious boundaries for what I would not share. I let go of so much anger and received much healing. Over the last ten years I have written for other sites, met bloggers in person, learned about SEO, received thousands of emails and messages from readers, been interviewed on tv, embraced social media, worked with a non-profit, agonized over no's and celebrated yes's, stayed up late reading blog posts, learned not to double space after a period, shared pictures of yellow things, worked full time for a blogging network, met people who will always hold pieces of my heart, and grown in more ways than I ever could have imagined when I published my first blog post on May 1, 2005. Writing has saved my life. I don't know how to explain it any better than that. I would not be who, or where, I am today without this space and the blogging community who took me in. I am here today because of each of you. So on this day, my 10th anniversary of blogging, I only want to say thank you. Thank you for reading my words. For laughing and crying with me. For having my back and holding my hand. I found my voice because of blogging. It was amplified because you have read and shared my writing. From the serious posts to the silly, you've given minutes and hours of your life to read my words, and that is a precious gift. Thank you from every corner of my heart. Here's to 10 more years and more shared stories. That is so lovely and congrats on making it for a whole decade in this crazy blogging world. Congratulations on 10 years, Tracie! TEN! I could not be happier that you're celebrating so many years, my friend, because without them I would not have met you. And that is a true blessing in my world and life. I love you, girlie, with my whole heart. And you'll always be one of my favorite writers of ever because of your strength and honesty. xo Here's to another ten years (or as long as you want!). Love this sooo much! This is exactly why I'm wanting to blog but struggling to get my story out and in my voice. Congratulations Tracie! Blogging has come a long way since I got involved 4 years ago, I can only imagine how it has over last 10! You're a talented writer and a great support for the blog community. look forward to the next 10 years. Tracie, Congratulations on 10 years of sharing your life and perspective with the world. I see that it has helped you to heal and also to grow as a person. I don't think you'll ever truly know the numbers of other people you have helped to heal and grow! I'm so glad that our paths have crossed! Congrats on 10 years! Only a year and a half in myself, but I hope to have the same long and successful career as you! Happy 10 years. I may be new here but I think I would love to get to know you so off to do some reading. Happy anniversary! Ten Years is quite the milestone! Happy blogiversary! I can't wait to see what the future holds for you. I hope your next 10 are filled with nothing but awesomeness and joy!!!! Wow! Way to go! As someone who is just starting out in the blogging world, this post made me hopeful for the community I'm entering. I keep hearing about the friends gained in this virtual world and your post made me even more excited to find it. :) Congratulations! Congratulations! It's so nice to visit another long timer (lifer???) I've been at it 13 years. It's truly wonderful, isn't it? It's really grown me and changed me for the better as well. Here's to many more years of blogging (and a continuing life of writing) for both of us! Happy Anniversary, Tracie! Such a beautiful post! Ten years is a significant time and it feels very good to reflect on how we've grown / changed. 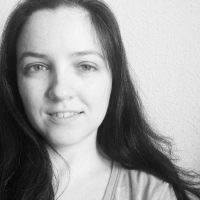 I started my blog in July 2003 and I can see I've come a long way! Congratulations again, on this great milestone! Ten years, wow! I'm so glad that you've stayed on and continued to share your life and story with us. Wow, congrats to you! Ten years is a long time to do anything! Happy 10 year bloggiversary! Next year it would technically be mine too (although I had two other blogs before the one I use now). 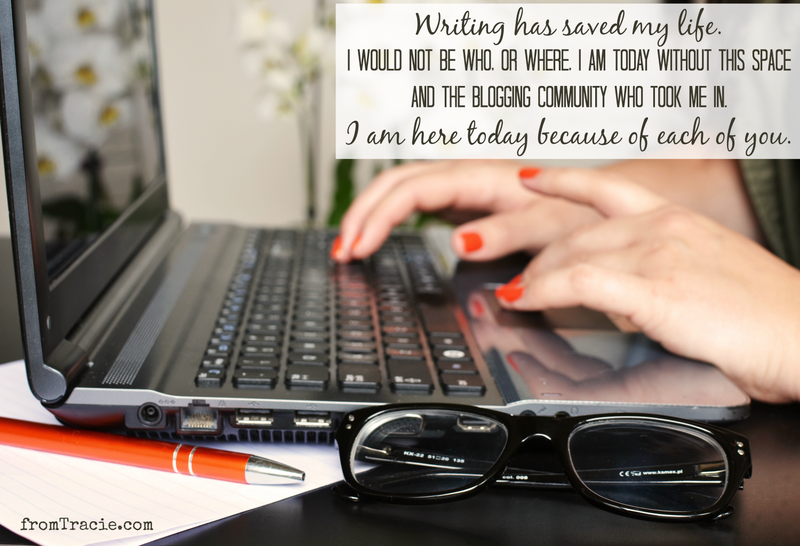 I love what you said that blogging saved your life because it saved mine too I am with you! Congratulations on 10 years!! Blogging has changed so much and like you I feel like I wouldnt be the same person with out it! Happy anniversary with blogging! That is HUGE - 10 years - do you have any pointers? Oh wow congrats on 10 years of blogging! WOW good for you and here's to another 10. I can relate to blogging teaching and saving and being there through thick and thin. Wow, what a milestone! I hope you get to learn even more in the next ten years! Congratulations! Ten years is a long time. Here's to the next decade! What an accomplishment - 10 years! Blogging is definitely a learning process with trial and error. That's so exciting! Congrats on 10 yrs. You're right about people's lives changing affecting their blogging. Going to work full time has really taken me away from it. I've been at it for 7+ yrs! I miss it and wish I had more time. Maybe after summer I can put more time into it again! I'm glad you received a good amount of healing. I'm sure your words have helped so many others too. A big hearty happy Blogiversary to you!! Ten years is a big deal! To persist as a writer for ten years, nevermind a blogger, is an achievement. Congratulations! Beautifully said. What a special milestone. Congratulations! Congrats on a milestone! 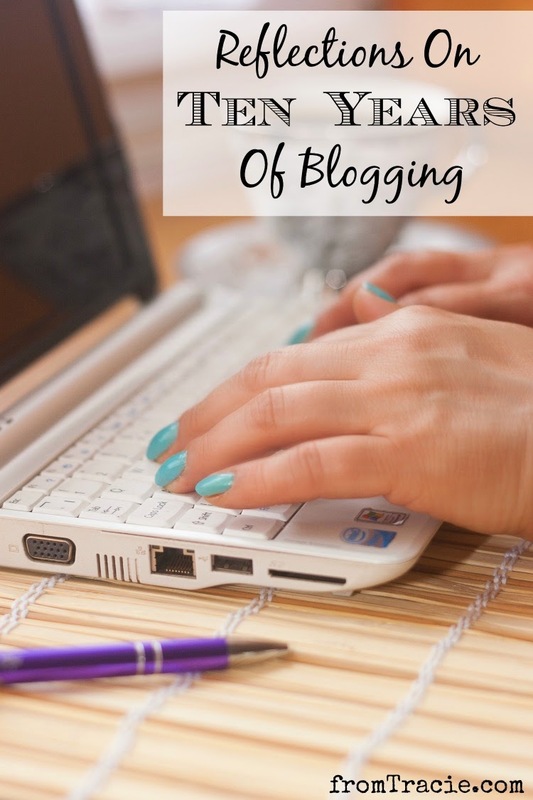 I totally agree about the constantly changing world of blogging – I can't imagine leaving it behind! Wow ten years! Congratulations. I love blogging, even though I don't make a lot of money doing it. I think blogging is therapeutic and have met so many wonderful people through the process. Awesome! Congratulations on 10 years. I just hit 4 years and cannot believe that I have been going that long. Blogging has really changed my life for sure. 10 years...that's amazing! Congratulations for staying at it so long! First congratulations on 10 years of blogging, that is amazing, hats off to you. Second, finding a way to speak the words that you needed to say, to help others and then heal yourself-to some extent...PRICELESS! Blogging is such a diverse medium, so many of us can find ourselves along the way, if we are lucky, and you have not only found and defined yourself, but others along the way! KUDOS! Happy 10 years, how fun to look at how you have grown as a blogger over that time. Ten years to my five. And we shall meet one of these days. Crap, I get so mad it didn't work in January but I was so tied to someone else's car and someone else's apartment and oh yeah - two very young, theme park loving kids. Next time. Maybe a SITS thing. And I learned now to double space after a period too!! Through this! Time surely does fly. I have been blogging on and off for a decade too. The platforms may have changed but my message of sharing my story hasn't. Keep it up! Wow 10 years of blogging. That's awesome. 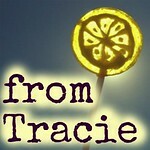 I enjoyed reading about your blogging evolution.Congrats and happy blogaversary, Tracie!! Wow that's amazing!!!! Congrats to your decade and many more! Congratulations on making it 10 years. You have been in the business long enough to have been there and done a lot, and now you share your story. That is very nice indeed.